WE HAVE UP FRONT PRICING, other places do NOT! Our prices include everything you need to jump and all jumps are from approximately 14,000 feet above the ground. All fees and add-ons are up front, nothing hidden. HIDDEN FEES, FEES, FEES! With some competitors, you buy say, a $150-$170 jump. Maybe that even includes video. Then you arrive to find out that it's only from 10,000 feet (half of our freefall time) and you can only use it on weekdays. The video is a handcam video, no stills, no editing, and only an upload to YouTube. You have to pay extra to make the jump on the weekend. You have to pay extra to go up to 14,000 feet. You have to pay extra for a decent edit of the video you can take home, show to friends, and upload yourself. You have to pay extra for stills. You have to spend an extra $40 in gas to get there and back because it's so much further away. 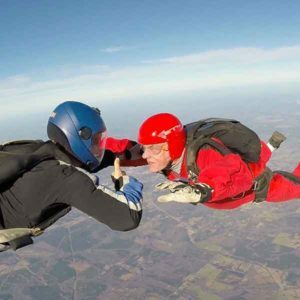 We have found through research and comparison that some of these places you actually end up paying significantly MORE than with Skydive Atlanta. Prices listed below are cash discount prices. Expect 5% more when paying by credit or debit card. How much does tandem skydiving in Georgia cost? $239 – Cash price, when Reserved Online. (5% more for credit card) No additional fees. Does not include video and photo packages. See those prices below. Click here to reserve now! 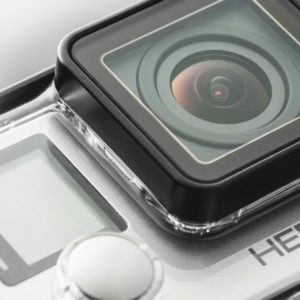 $10 off for electronic waiver completed properly by the Wednesday prior to your jump. $20 off with valid student I.D., active duty military I.D., or for public service occupation (police, fire, EMS, public school teacher [must provide proof with I.D. or pay stub]) Cannot combine this discount with any discount code or group rate. These optional packages are purchased in addition to the jump. Detailed descriptions and previews of the our packages are at our Video and Photo Packages page. Premium Video & Photos - Standard Video & Photos plus Close-up Handcam, personalization, additional editing, and choose your own music. *PLEASE NOTE:There is a $20 fee for cancellation of advanced reservation video & photo packages. There is no experience required for an Accelerated Freefall Skydive. AFF Ground School and Level 1 Skydive may be completed on the same day. See a complete description of the AFF program by clicking here. This is a ground school only and must be completed prior to an AFF Level 1 Skydive. This fee is paid at the time of reservation. You pay for the skydive when you arrive. Click here to make a reservation for ground school now! 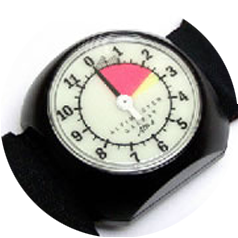 Basic skydive, stable freefall, altitude awareness, on time parachute opening. See a complete description of the AFF program by clicking here. Click Here to find the difference between Solo Certification and A License Certification. United States Parachute Association membership is required for all students beginning with Level 4. Membership can be purchased directly from USPA.org. During AFF Skydive Atlanta provides all necessary equipment. However, after AFF graduation each student must have their own helmet, altimeter, and jumpsuit. 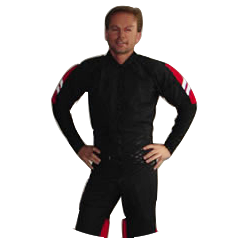 Skydive Atlanta is a dealer for all major manufacturers and has a fully stocked equipment pro shop. Must join prior to AFF Level 4. With membership you receive a magazine subscription, 3rd party property liability insurance, and the ability to receive skydiving licenses. 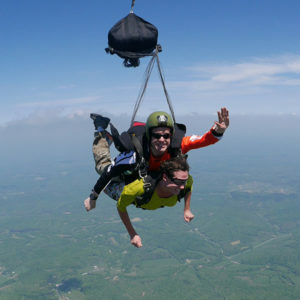 Skydive Atlanta receives no part of this fee. During the AFF program, all equipment is provided. 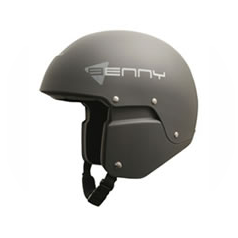 After AFF graduation all students must purchase their own helmet, altimeter, and jumpsuit. Several models to choose from.